The Burren Way hike from the Cliffs of Moher to Doolin. 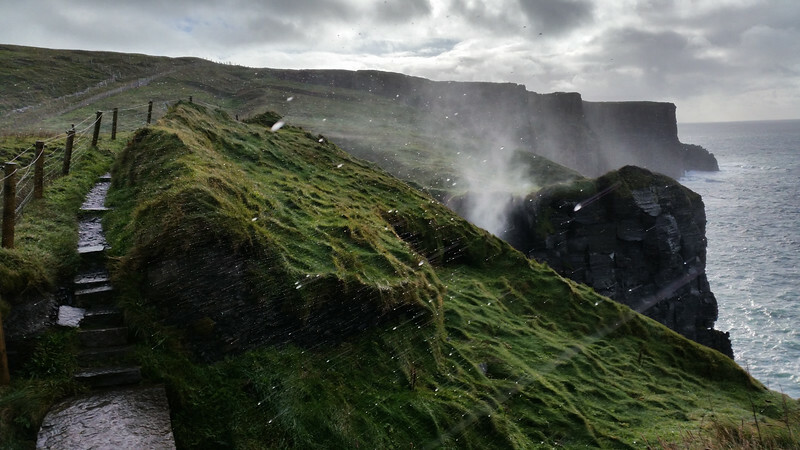 Sea spray flies up from the coast below and keeps the trail wet. This was a really windy area of the trail.